I love this shot, and I miss the guy so much! Thank you. At least we get a new photo every time he goes to the hairdresser . And sometimes one with Simon surfing. At least we get a new photo every time he goes to the hairdresser tongue . Yeah, he has made himself scarce this year. 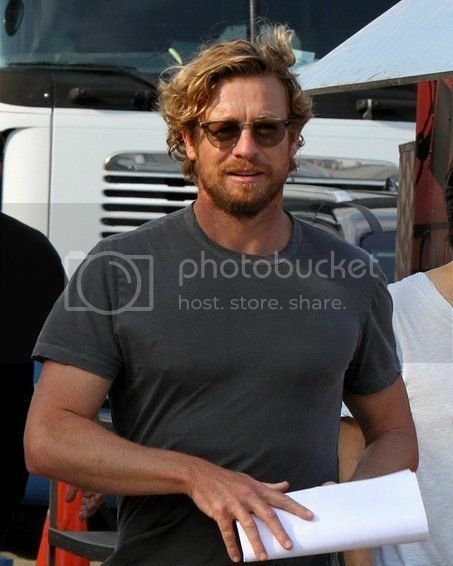 When he said he would take a break after The Mentalist, and devote himself to his family, he wasn't kidding! I too, wished he communicates more about the movie, but as he is not making any interview because he hasn't anything to promote at the moment, we are news-deprived! tigglewink01, the movie BREATH will premier next year. So there is no DVD yet. Thanks I cannot wait its a shame we don't hear anything about it. Thanks again for getting back to me. Thank you Marie. Or they haven't even started yet. Hopefully we learn more soon. Thanks, DSP. I must say. He's taking very good care of himself. Another one. Apparently, one of the friends he had lunch with is Mark Johnson, Breath's producer.